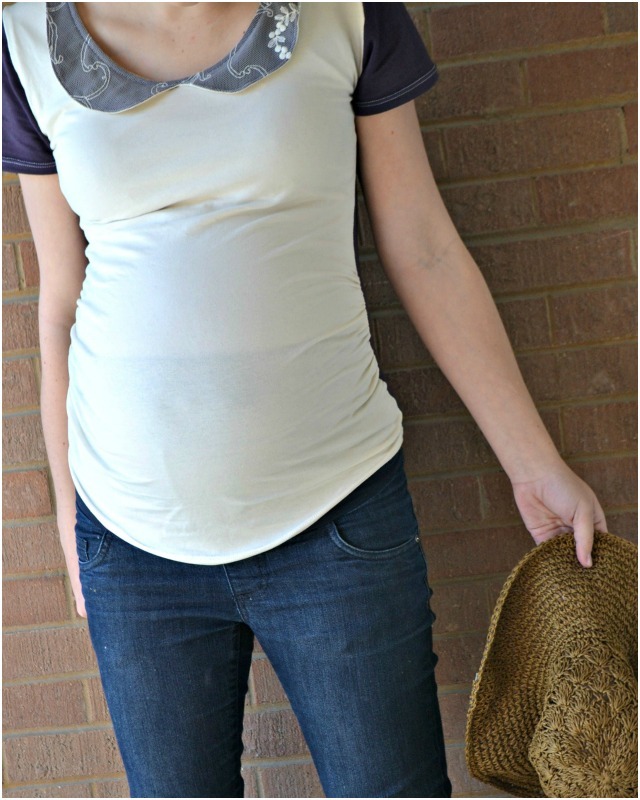 I did make some maternity shirts for myself this pregnancy! I never mentioned it here on my blog, but this pregnancy had some complications I didn’t have with Henry. I wasn’t expected to make it to full-term, so I hardly did any maternity sewing because I didn’t know how long I’d be pregnant. Well, when I got to 36 six weeks (yay! ), I was so tired of my extremely small maternity wardrobe that I just busted out three shirts in a couple of days. Since I made them at the end, maybe they’ll still look nice for the next pregnancy! 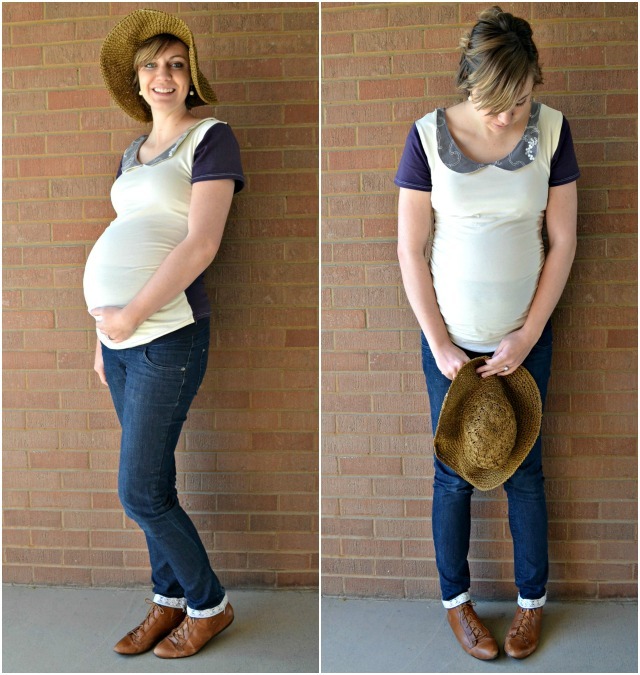 I made two shirts using Megan Nielsen’s ruched maternity tshirts sewing pattern. This first one I used purple and ivory knit scraps and lace. I really like the fit of of this shirt. It’s perfect for a growing belly! 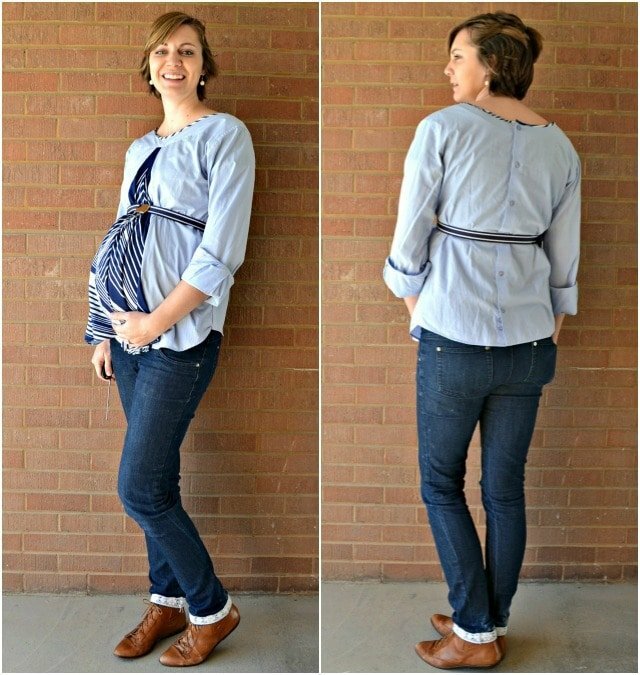 The other maternity shirt I made was a basic teal top. I didn’t change the pattern at all except that I added a neckband instead of hemming it. I needed something versatile to go with the other items I have. 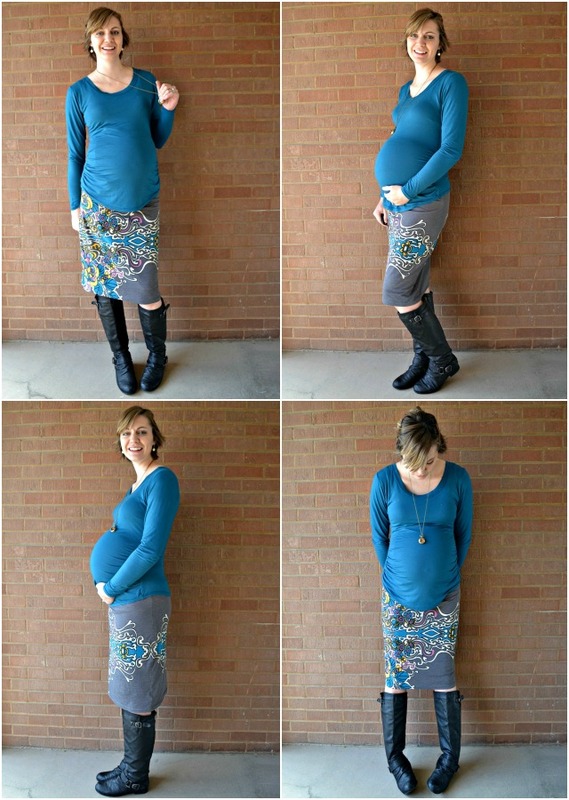 I also made this knit maternity pencil skirt. I think it was originally a shirt? My sister got it on sale somewhere and altered it a little then gave it to me. I just added some elastic to the waistband for a fun new skirt! Isn’t the pattern so cool? I was getting really tired of feeling like I was wearing tents so this shirt and skirt were perfect to help me feel cute again! 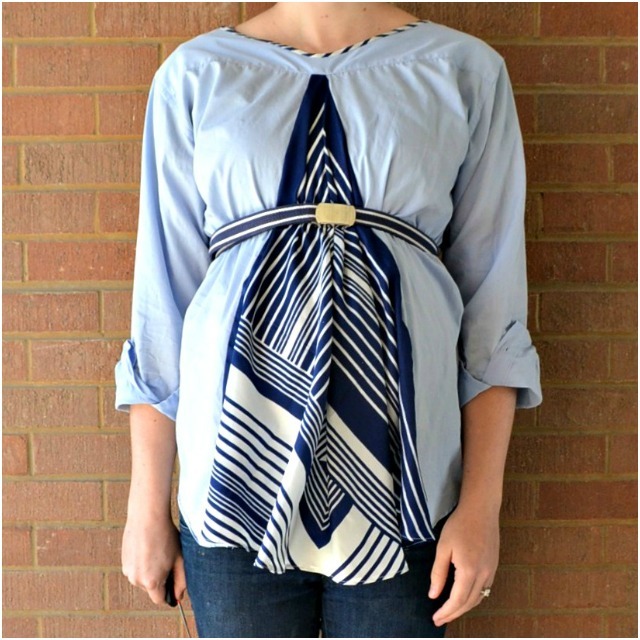 The last shirt I made I used Melissa Esplin’s DIY reversible maternity shirt refashion. I’ve had my eye on this refashion since Melissa first did it, and I finally put it to use. I LOVE the idea of using it for maternity and then flipping it around for nursing! 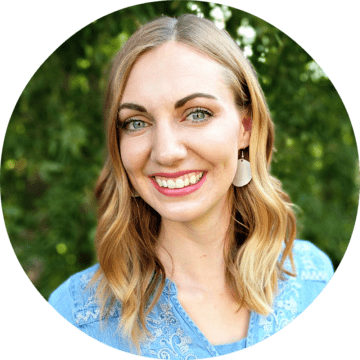 I used a basic blue button up shirt my husband got rid of. I took in the sides to make it a little more fitted. Then I added a geometric navy blue scarf to the front that my sister got me in Russia. I sewed it in on the bias and then trimmed off one corner which I used to finish the edge of the neckline. It was actually pretty easy to do, and hopefully it works well for nursing. I’m glad I finally found a use for this scarf. It was too stiff to wear nicely as a scarf, and I really wanted to use it or wear it. I’ve got an awesome blooper for you! Henry was playing with stickers on the couch, and I didn’t realize one got on my pants before my photoshoot. It’s awesome living with kids! these are so cute!!! Glad you got some cute shirts for the end and now you can use them with your baby snuggled in your arms! And also, congrats on making it to 36 weeks!! Glad baby got to make it to that milestone still in your belly! those are all so cute on you! i adore the peter pan collar, and i'm going to have to try out that reversible top!! all very cute on you! that last shirt is amazing though – so different. What cute tops! And you look great! I am so glad that you have made it. I love your maternity looks. That peter pan collar is perfect, I love it. Great set of shirts, and skirt! Clever use of that scarf I have a few in my closet not getting worn that may upcycle well. I'm glad to hear your little one decided to stay on board to term. wow for the reversible top! I keep getting great ideas from you!!!! Pretty mama !!! So nice ! I love the reversible top- very clever! I agree, your Peter Pan collar suits you, it feels very "Heather" the way you did it. Gosh, I can't believe that bun is almost do e baking. You will have 2 babies soon! Did I read that you are planing #3?! I say go for it!! LOVE that skirt. The fabric print is awesome. Thanks for sharing your new looks. And good luck, you are almost done being pregnant, and get to play with a cute baby!